When Google launched the Pixel 2, there was quite a bit of talk about a little lens maker named Moment. Get it, 'little lens' maker... I'll show myself out. The company made a name for itself with the iPhone crowd, but over the last couple of years the product line has expanded to include some of our favorite Android phones, like the Galaxy S8 and S9, Note 8, and both Pixel generations (and sizes). Now Moment is stepping into the Play Store with its own camera app. 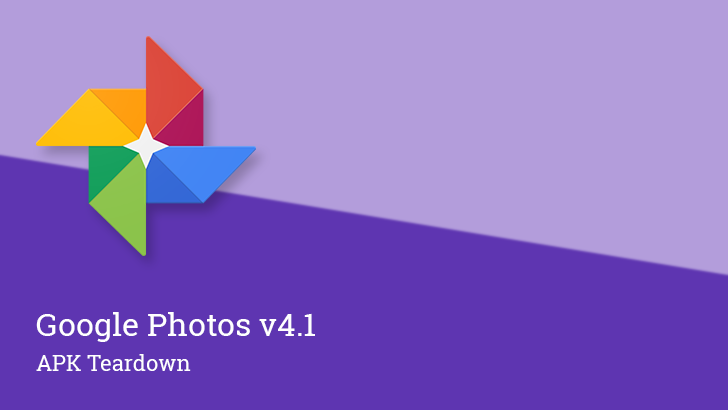 Google Photos is progressively building out its feature set. Version 2.4 began rolling out last week and it can now show which albums certain people appear in. This follows the addition of some newly enhanced editing controls and dynamic filters added with version 2.3 a couple of weeks ago, which will also be discussed in this post. All of this can be topped with with a couple of interesting hints at future additions found during a teardown, including initial support for RAW images. Users of Adobe's Android app have been able to process RAW images in the company's DNG format for a while, but the new update to v2.2 adds much more robust RAW processing. You can directly import RAW files from your camera, edit them, and export to all your devices. Google's Camera app isn't the most advanced tool for taking photos. It completely avoids manual controls and generally lags behind OEMs for most major features. 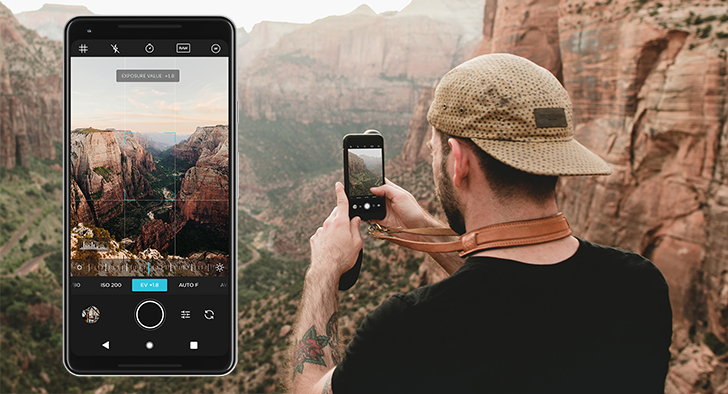 Where it's lacking in advanced features, the Camera app tries to make up for with a simple interface and clever techniques to intelligently deliver better photos without putting the burden on users. This means it works pretty well for simple point-and-shoot purposes, but skilled and professional photographers aren't likely to give it a second look. A teardown of a recent Camera update shows that Google is testing an option to save both RAW and JPEG files with each picture, a popular feature on many dedicated cameras and high-end smartphones. 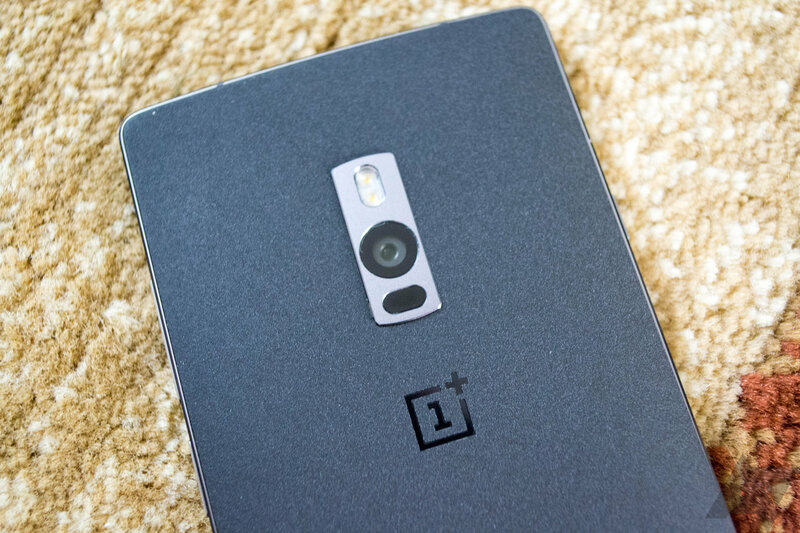 A number of Android phones can capture RAW photos now, but editing them on Android is tricky. 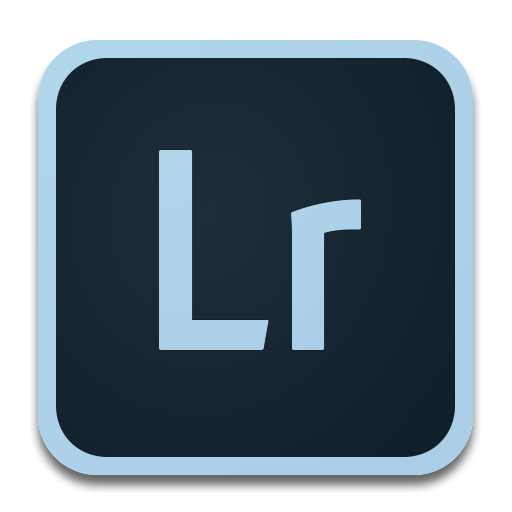 There are a few apps that do it, but they're clunky or as in the case of Lightroom, cost money. 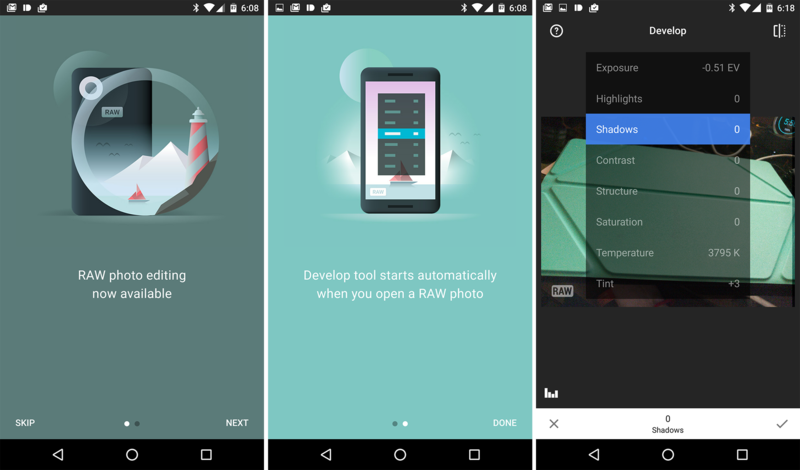 Now Google's free Snapseed editor has been updated to v2.1 with RAW editing tools. We've got the APK on APK Mirror if you want to take it for a spin.